You just wrote a really great article; it’s informative, easy to read, and know your audience will really enjoy the post. So how do you get more views and promote it on your best distribution channels? You turn to social media. With social media, you’re limited to characters, how often to post, and even a budget. 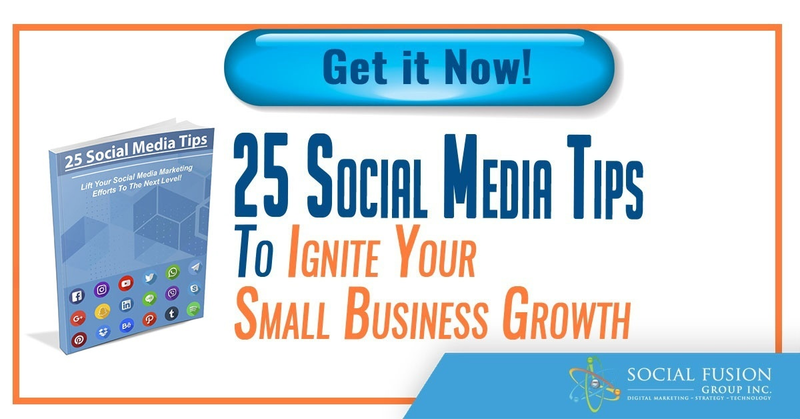 In this post, we’ll share our secret to optimize your social media posts that can help generate more traffic. The first thing you should make sure is that your post is optimized. In our examples, we’ll focus on the 3 most popular social media channels (Facebook, Instagram, and Twitter). If you’re also promoting a new long-post article or want more awareness to a specific web page, we recommend ‘pinning’ the tweet to the top. Here’s a perfect example of optimizing a tweet. Twitter allows for only 140 characters. The tweet is short and to the point. The use of hashtags allows for the Tweet to generate more impressions. As you know, hashtags are all aggregated under one hyperlinked keyword. A shortened URL is used to track the number of clicks the post gets. This is useful for analyzing your tweets (what do and don’t work). Digging into another layer deeper, Followerwonk is a tool that lets you know when your followers are most active. (There are free and paid versions of this tool.) Make sure you align the time your tweets are posted to when your audience is most active. This will assure you’re targeting your audience at the right time. In our example, we’ll be talking about basic organic Facebook posts (not driven by ads). When you post on Facebook, the first thing to remember is to make sure your post has value. Why would anyone want to click to your site? 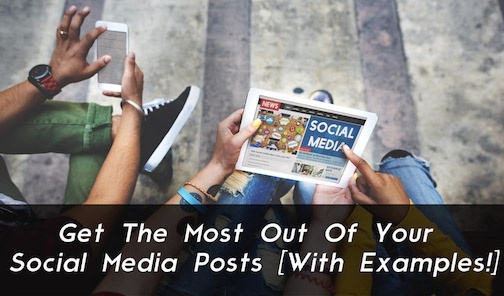 Without value, your post will just merely be scrolled up. The post starts off with value right away, giving out one of the 101 tips. Attractive image – the post uses a photo that catches a viewer’s attention. The hard part of posting on Instagram is to understand what types of photos, captions, and even filters work best. As a business, Instagram serves primarily as a branding tool while also can drive traffic. The photo is high quality and drives the view to engage with the photo (like and/or comment on the photo). The use of hashtags enforces branding behind the photo. The same goes with geo-tags; it helps enforce the brand. Bonus: the photo is user-generated content. This helps your audience feel special; as if their favorite brand is noticing them. 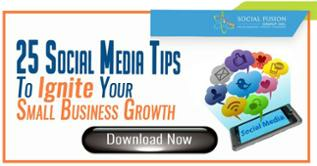 When posting on social media, make sure you try to "complete" the post as much as you can. This includes: hashtags, geo-tags, trackable links, and captions that drive value and engagement. Although you won't see results in one night, your brand will slowly begin to grow and be one step closer to achieving its social media goals.